Legacy Portable Communion Set, service for 6 in travel case. Perfect for prefilled cups too! 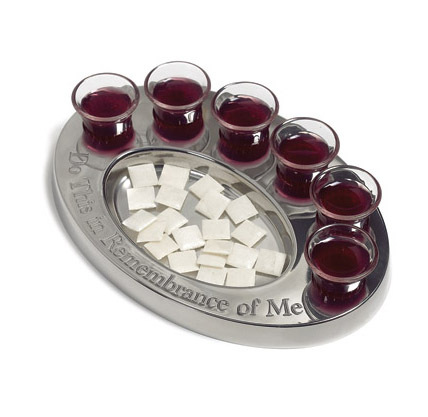 Share Communion From This Elegant Portable Tray -- Service for 6 in a Deluxe Case. 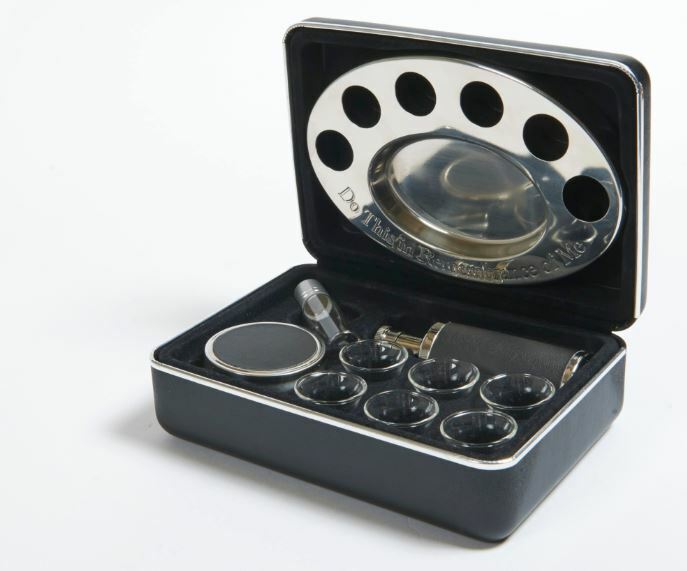 The Legacy Portable Communion Set is the top of the line travel set. Durable and stylish hard case has stainless steel trim, snap close hinge system and attached cross. The removable polished stainless steel serving tray has a bread compartment and room for 6 cups. Finger guides are designed into the stainless steel tray to ensure easy handling. Communion cups nest safely into the molded interior case. Comes with 6 glass Communion cups, a stainless steel bread container, 100 ml stainless steel juice container and and an anointing oil bottle. 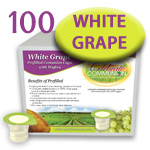 Perfect travel container for Prefilled Communion Cups. 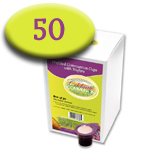 (Can store up to 9 prefilled cups by removing bottle.) 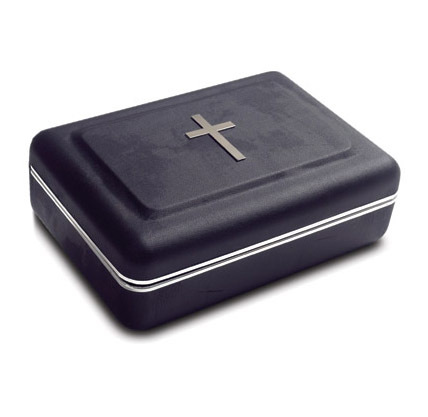 Travel Communion case measures 7.5"x5.3"x2.63". Suitable for visitation ministry, small group Bible studies or family devotions.